Address: Guadarfia, 2, Puerto del Carmen (Lanzarote), Islas Canarias. 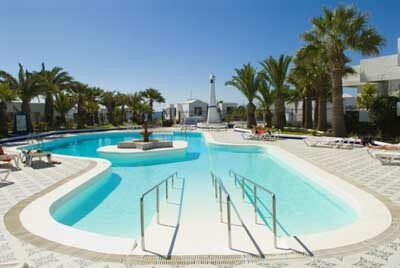 Set 500 metres from Lanzarote’s Puerto del Carmen Beach, Apartamentos Panorama is set in large gardens. This adults-only property offers a gym, sauna and hot tub, as well as an outdoor pool. Each Panorama studio features a private balcony and satellite TV. There is a seating area with a sofa, a safe for rent and a private bathroom. All studios have a kitchenette with a fridge and coffee maker. A buffet breakfast is available at Apartamentos Panorama and there is a poolside bar. Wired internet is offered for an extra charge in the business centre. You can play billiards, and a massage service is available for a supplement. There is a 24-hour reception, and you can hire a bicycle or car from the tour desk. Lanzarote Golf Club is 2 km from the apartments and Lanzarote Airport is a 10-minute drive away. Please inform Apartamentos Panorama Adults Only in advance of your expected arrival time. You can use the Special Requests box when booking, or contact the property directly with the contact details provided in your confirmation. Guests are required to show a photo identification and credit card upon check-in. Please note that all Special Requests are subject to availability and additional charges may apply. Please note that bed linen is changed weekly. Towels change and cleaning service is offered every 3 days. Please note that Apartamentos Panorama accepts American Express. Please note that once the guest has checked in and paid for the stay, a refund will not be given in the case of early check-out. Please note that Apartamentos Panorama is adults only and children are not allowed.